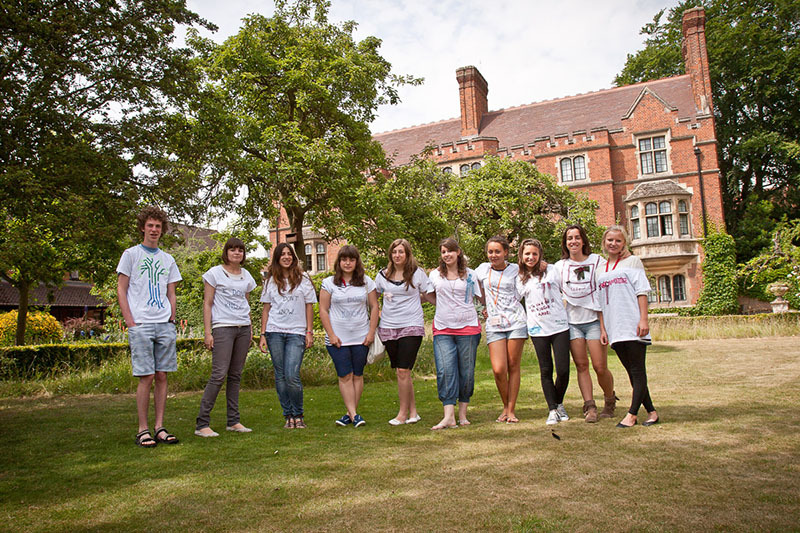 Our partnerschool Studio Cambridge offers a wide range of different youth programmes. Each programme is designed for a specific age group and consists of a package of English lessons, activities and accommodation. Take a look at each of the exciting programmes and choose the one that fits you best! Evening activities: disco evening, cinema visit, sports night, karaoke evening, games evening, themed party. Excursion: On Saturday a full-day excursion will be organized (e.g. London or Oxford). The courses described here are suitable for students of 14-19 years old. Click here for the programmes this school offers for students of 16 years and older. Accommodation: Residence, single room, shared bathroom, full board. The course with 20 lessons takes place from Monday to Friday, from 09:00 to 12:30. Activities take place in the afternoon. The course with 28 lessons includes the standard 20 lessons in the morning, plus an additional 8 lessons of academic English (scheduled between 13:45 and 15:15, when students taking the standard course have afternoon activities). Both courses have activities in the evening (from 19:00-22:00) and a full day- excursion on Saturday. The lessons of the Sir Christopher programme take place at one of the two school buildings at the campus, both in traditional English style, surrounded by gardens and green lawns. Students can choose between 20 or 28 lessons of English per week. The course with 20 lessons will have more activities than the course with 28 lessons. Last class day of the programme: 23/08/2019. Return transfers from Heathrow, Stansted and Gatwick airports on Sundays are included in the price (arrivals between 14:00-20:00 ; departures before 14:00). *The exact amount of activities & excursions per week depends on the programme you select. IMPORTANT: The Sir George programmes does NOT INCLUDE excursions; excursions are usually available as an option each weekend, at additional cost. Youth courses start and end on Sunday. If you are staying with a host family, please ensure that your flight arrives no later than 20:00. Accommodation: Residence or host family, double room, shared bathroom, full board. The course with 20 lessons takes place from Monday-Friday, from 09:00 to 12:30. In the afternoon students will participate in the activity programme. “Global Leader studies” per week in the afternoons (from 13:45 to 15:15, when participants of the 20-lesson course will have afternoon activities). The aim of the Global leaders studies is to develop the student´s personal and organizational skills in an international setting (focusing on leadership, teamwork, cultural awareness etc.). Social Media skills: Each week you will attend 8 lessons of social media studies, covering topics such as: producing your own digital content, combining social media and English language, producing a weekly project through socia media channels. Lessons are held at the main school building of Studio Cambridge, in a 19th century building in Salisbury Villas, just 15 minutes walking from the city centre. Evening activities: disco evening, cinema visit, sports night, karaoke evening, games evening, themed party. Students living with a host family will have 3 evening activities per week; students staying in a residence will have activities every evening. The course with 20 lessons per week is available from 24/06/2019 to 26/08/2019. Maximum duration is 9 weeks. The course with 28 lessons per week consists of 20 general lessons + 8 specific themed lessons of either Global leader Studies or Social media skills. This option is only available for a period of max 2 weeks, taken between the following dates: 01/07/2019 until 12/08/2019. Accommodation: Residence, double/multiple rooms, shared bathroom, full board. The youth programme Sir Laurence takes place at a campus just a 10 minutes´ walk from the city centre. The modern college has excellent teaching and offers high-standard residential accommodation. Students will have 28 lessons (21 real hours) per week, in international classes with students from different nationalities. Lessons take place from 09:00 to 15:15, except for one day a week, on which lessons end at 12:30; on this day an afternoon activity will take place. The Sir Laurence programme is ideal for those who are looking for an intensive English programme. Every evening (7 days a week) social, cultural and sport activities will be organized. On one afternoon per week, an afternoon activity will be organized; lessons on that day will end at 12:30. Some examples of activities are: disco evening, movie night, karaoke, games and sports, arts and crafts, themed party etc. On Saturday a full-day excursion will take place. Accommodation: Host family, single or double rooms, shared bathroom, full board. Social programme: 4 afternoon activities included per week. Excursions NOT included (bookable on request). The youth programme Sir George takes place year-round (except summer) at the main school. Students will have 28 lessons (21 real hours) per week, in international classes with students from different nationalities. 20 lessons are held in the mornings from Monday to Friday. extra cost during their course. • Excursions are optional and at additional cost. The St George programme takes place between 06/01/2019 and 22/06/2019 and from 25/08/2019 until 22/12/2019. For students wishing to attend a programme during summer (July, August), we recommend Sir Michael. IMPORTANT: Excursions are not included for the Sir George programme. These excursions can still be booked on sight, to be paid directly to the school. You will stay in one of the 2 residences used by the Sir Christopher programme: Ridley Hall or Newham College (both accommodations are located on campus and are situated next to each other). You will be accommodated in a single room with shared bathroom based on full board (all meals included). Bed linen will be changed weekly and students can do their own laundry (without any additional cost). If you choose to stay in a residence, you will be accommodated in a centrally located student residence, within 5-15 minutes walking distance from the school. You will be accommodated in a twin room, shared with another student. Single rooms can be requested but not guaranteed. You will share the bathroom and toilet. Bed linen is changed once a week and students can do their own laundry (with no additional costs). All meals are included, and drinks and snacks are available in the evenings. Packed lunches will be provided on excursion days. Accommodation in the residence is available from 29/06/2015 to 30/08/2015; students who would like to start a course on starting dates outside this period (15/06/2015 or 22/06/2015) should book accommodation in a host family. When staying with an English host family, you will have even more opportunity to practice your English! It is a perfect way to be fully immersed in the English culture. You will share a room with another student. Bathroom and toilet are shared with the host family. Laundry and change of bed linen is done once a week. All meals are included, with a packed lunch on excursions days. You will stay in a shared room in the residence based on full board. Single rooms are available upon request. You will share the bathroom and toilet with other teenagers. Bed linen is changed weekly and students can do their own washing (with no additional charges). All meals are on campus, except on excursion days when packed lunches will be provided. When staying with an English host family, you will have even more opportunity to practice your English! It is a perfect way to be fully immersed in the English culture. You will stay in a single room or share a room with another student. Bathroom and toilet are shared with the host family. Laundry and change of bed linen is done once a week.